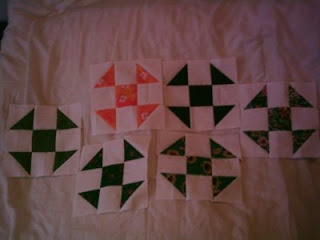 Sara (sassywoodchuck) made these 6 extra Shoo Fly blocks . . .
. . . for a total of 274–one more to go until we have enough for 6 winners this month.